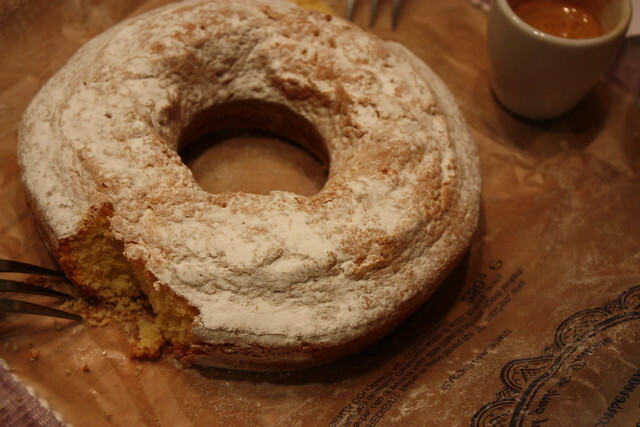 Rob and I have fallen in love with this delicious cake, made in Bologna and sold at our local grocery. It has a light, lemon taste and is topped with powdered sugar. At 1,50 euro it's also insanely inexpensive. I promise anyone that comes to visit that we will have this torta on hand for you to try. I just hope it's not a seasonal specialty!